Hike, Eat, Sleep, Repeat. That’s really all it comes down to when Thru Hiking. Hike as far as you want to, stay fed and get enough rest to enable you to keep hiking day after day. In My first post on The Trek I talked about all the ways I’m starting to get ready for the CDT. Food was one of the topics I’d be thinking on and this post is where I’m at with it right now. 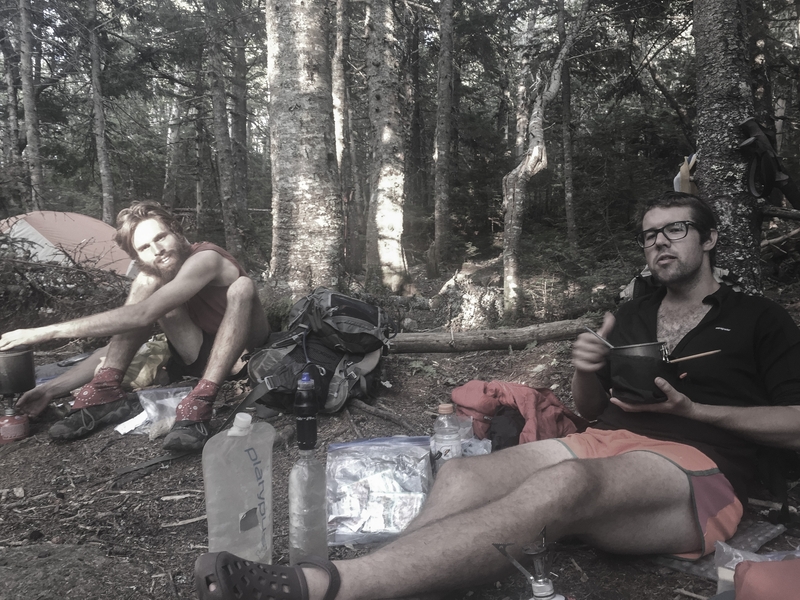 After six months on the Appalachian trail I got to the point where I knew how I like to eat on the trail. Like most people I ate and will continue to eat staples like Ramen Noodles, Peanut Butter and Granola Bars. On the the AT I did what most people do and resupplied at grocery stores and gas stations. One thing that is going to be quite different on the CDT is how and where we resupply, we are going to use a combination of resupply methods. 1) When we know we are going to be stopping in a town with a decent grocery store we will resupply there for convenience. 2) When we have a stretch on the CDT that doesn’t have a convenient/decent store we will have pre staged food sent out to us by a friend. By having our food pre staged it enables us to have a little bit more control over what we eat rather than just buying what’s available in the store. 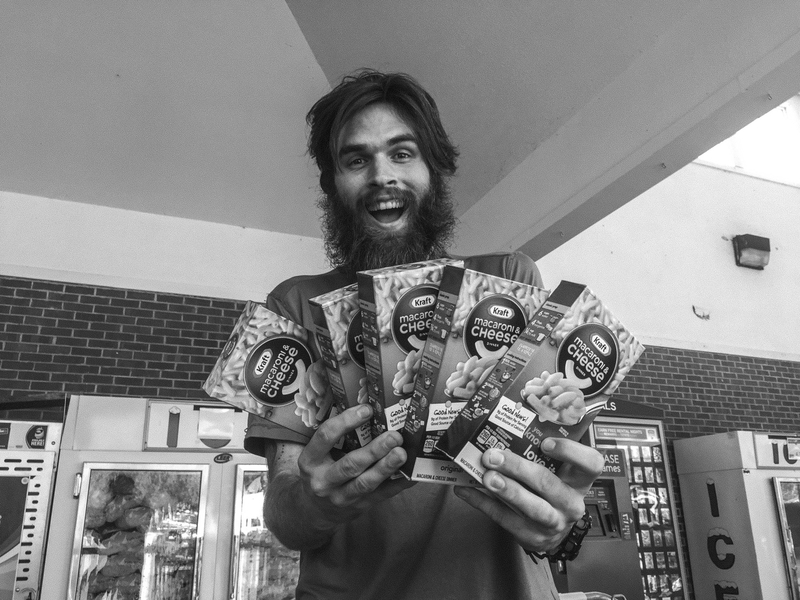 I’m pretty happy with my overall food “plan” from the Appalachian Trail. The main thing I want to improve upon is it’s nutrition. I eat a mostly Paleo diet at home and so want to reduce the amount of processed carbs I eat on trail and try to eat more nutritious food in it’s place. Planning for and executing a Thru Hike takes a lot of work. The last thing I want to do is to create a whole bunch more work for myself. There are some key things I want to change about my diet on the CDT but I don’t want to spend hours and hours planning out every single meal I eat. I don’t like taking the time to fire up my stove for breakfast in the morning, I like to get out of camp and get some miles under my belt. On the AT I usually drank cold instant coffee shaken up in my Nalgene and my breakfast cereal recipe below. Only if we’re having a particularly lazy morning or lunch break will I use my stove. I’ve considered going stove less (for 23 seconds) and it’s just not for me. By cooking I mean boiling any food for more than a couple of minutes. I used a pot coozie for all of my cooking on the AT and will continue to do so. I know I’ll be inpatient (hungry) when I sit down to my evening meal and don’t want to have to wait a long time. Plus I want to be frugal with my stove fuel. 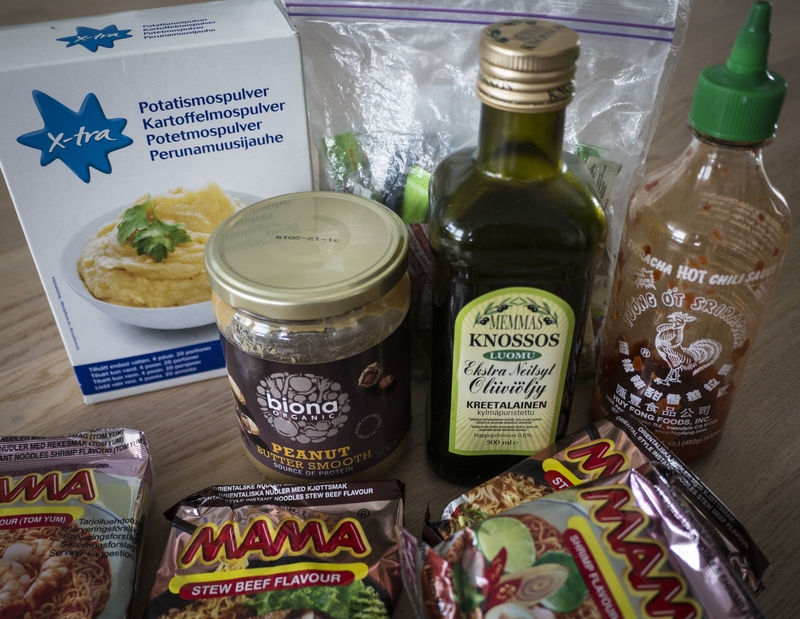 All of these points should be pretty much be a given when selecting foods for backpacking, I just need to mention them briefly as some people may not be aware of their importance. Breakfast is usually my favourite meal of the day whether that’s at home or out on the trail. Probably because it’s the meal that Includes coffee. My go to breakfast on the AT was a hearty serving of granola with a big handful of trail mix. I added a spoonful of powdered milk and stirred in cold water for a super satisfying start to the day. I dumped two pouches of Starbucks Via into my 500ml Nalgene and drank “ice” coffee to get the day started. I could go to the effort of making my own Paleo granola at home but that would involve a lot of work and would end up costing more than buying store bought granola. I also varied what trail mix I added in, the nuts and seeds add a good amount of fat and protein to my breakfast. Although Starbucks Via is pretty tasty (for instant coffee) I’m working on a few ideas that could make for a tasty and much cheaper alternative. I liked to have a snack after the first few hours of hiking to keep the mornings momentum going. A quick and convenient granola bar was usually what I reached for here. I enjoyed regular Cliff bars or Cliff Builder Bars and have no plans to change that up. Lunch was always the meal that varied the most for me out on the trail. Rarely did I cook at lunch, usually favouring some kind of bread like tortillas or Arnold Sandwich thins. I would pair the bread with peanut butter, cheese, summer sausage or Sriracha, sometimes all four. I would like to find a healthier alternative but I’m struggling to come up with something thats as quick and convenient to prepare that has sufficient calories. Any ideas? Chocolate! Towards the end of the day there was not much better than a good bar of chocolate to get you through those last miles. Not the healthiest option for sure but Snickers have a lot of protein right?!…. My standard dinner on the AT was two blocks of Ramen with a tuna pouch and some Sriracha and Olive Oil for extra flavour and calories. I really enjoyed this meal and rarely changed it up. My intention in 2017 is to replace one block of Ramen with a handful of healthy, home dehydrated veggies. This should help get me more of the nutrients my body needs but still provide enough calories. 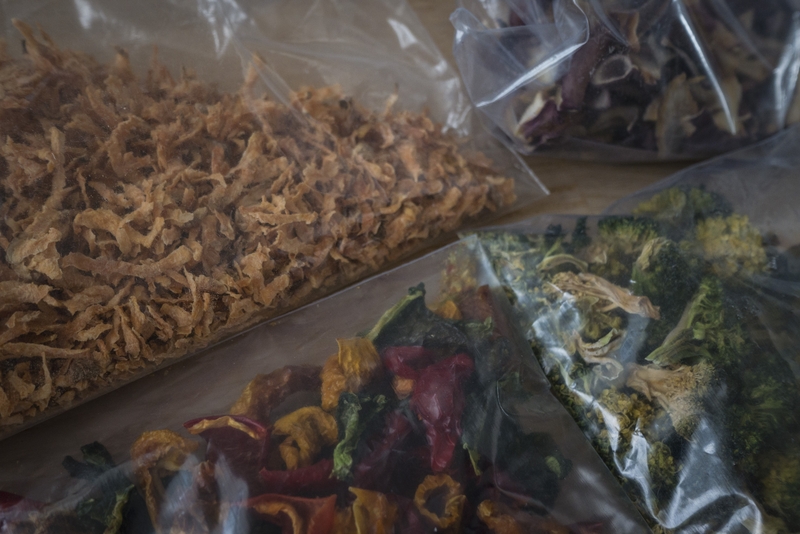 I plan on ditching the MSG laden seasoning packets from the Ramen and making up my own seasoning packets for a little variation. Other meals I ate out on the trail were Knorr Pasta Sides with a tuna pouch, Instant mashed potatoes (or sweet potatoes if I could find them) and partially rehydrated beef jerky. Or if I was feeling really fancy i’d pick up a Mountain House! How luxurious. I took daily vitamins on the AT and will do the same on the CDT. Our bodies are really deprived of fresh healthy foods and it’s impossible to get a really balanced diet on the trail. On top of that we are putting our bodies through an extremely taxing time by walking many miles a day for 6 months plus. Fish oil – I take fish oil everyday at home as it’s been proven to help your body in many ways including good joint health, a critical factor on a thru hike. Glucosamine Sulphate and Chondroitin – These two together are used to improve cartilage and ligaments that support our joints, the IT band gets a beating when we hike so why not give it some love. Probiotic – I take probiotics to promote healthy gut bacteria, this is important on the trail and hopefully reduces the chances of getting a virus. 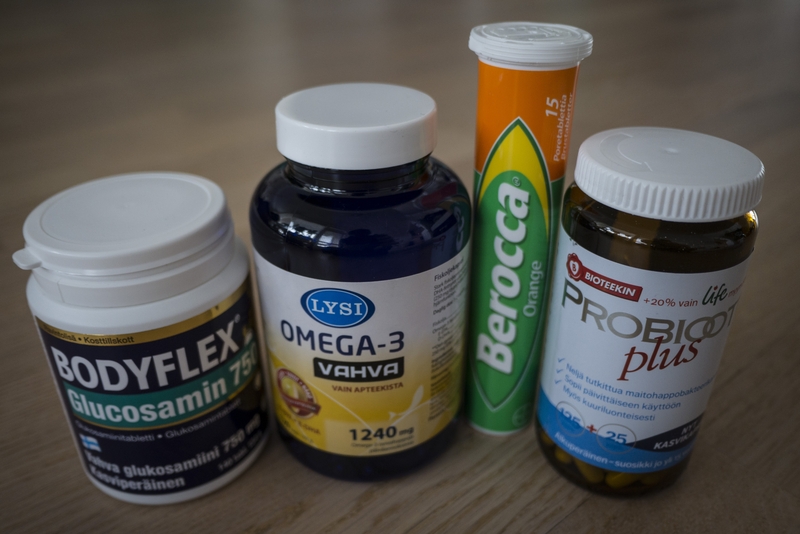 Basic Multivitamin – I don’t take this in normal life as I’m eating plenty of greens and vegetables, not so easy out on the trail though. My diet plans won’t look super revolutionary to anyone that has done a lot of backpacking but I do feel there are some key things that I’m changing up that could help balance out my diet and make it a little healthier. If you think there’s something I can do to improve my food plan then please leave a comment below. Hello Pie! Team MoFo is enjoying your posts. I have much room for improvement and your ideas are very highvalue. Happy Trails! First, I am so excited for you! The CDT is such an iconic trail. I followed Goosebumps when she hiked it last year and will now follow both you and Youngblood. With respect to food, I have to admit I struggled with getting the calories and lost over 30 lbs on the AT. 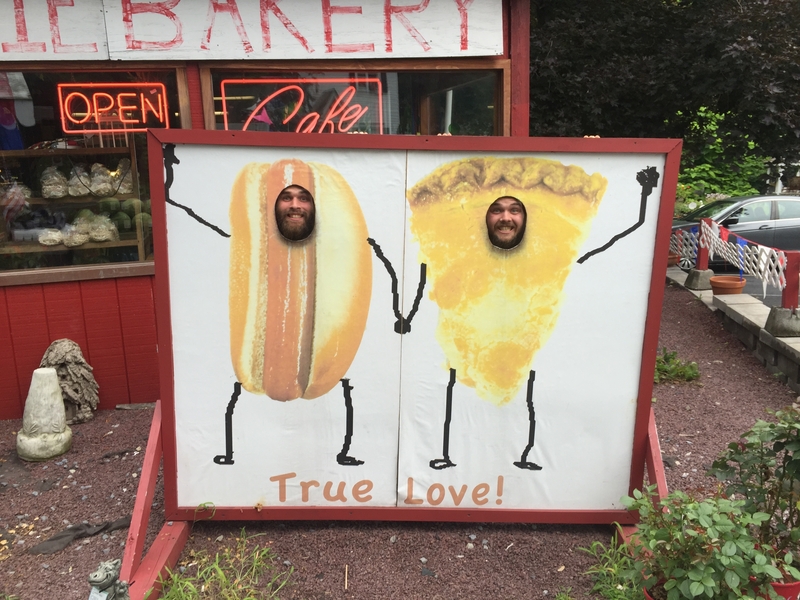 I was falling apart (mentally) by Vermont and made a serious attempt to start eating more. So after eating oatmeal with Instant Breakfast in the morning, I made sure I ate 2 granola bars and gorp before midday. Then I would eat dehydrated fruits, nuts and cheese at lunch folloewd by a mandatory one or two Snicker bars in the afternoons! I managed to stop loosing weight by the time I hit NH. I have to admit lunch was always a challenge for me. Here are some combos that you might like: tortilla with PB smeared topped with gorp (yummy and crunchy), spreadable cheddar cheese on tortilla, bagel, flatbread or thick Swedish crackers topped with dehydrated or sun dried tomatoes (found these un the US, the tomatoes are still soft, almost fresh in a foil packet – so good). When you hit a town get an English cucumber and if in season snap peas to add to the cheese dried tomato sandwhich to add crunch. Both keep a few days without refrigeration. I hope this helps. Thank you for this post, I am bad at food and I found this post very helpful. 🙂 How do you store/carry your vitamins and supplements? Glad you found it helpful Noelle. I just bundle them all into a doubled up Ziploc bag in the bottom of my food bag.